You can reach any port in the world! IN THE CURRENT AGE, forwarding HAS TAKEN ON A new dimensions and container forwarding is developing as an important part of combined transportation. You can import or export all your goods from textiles to glassware, from furniture to ivory handcrafts, electronic equipment, toys and even ship your factory assembly to and from anywhere in the world. 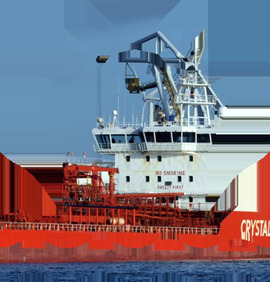 You can reach any port in the world with FCL and LCL services of Five One Two. Whether from port to port or from door to door.